formally Footcare @ Natural Therapies. 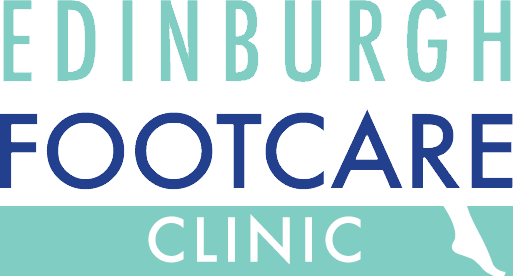 The Edinburgh Footcare Clinic has been established since 1991 with the present owner and senior podiatrist Anne Sibbald. The clinic was established in Barnton and moved to it's present location in Carricknowe in 1998. The clinic offers mainly podiatry/chiropody treatment in the Edinburgh area, however we do offer some other service such as reflexology, aromatherapy and deep tissue & sports massage. All Podiatrists associated with the Edinburgh Footcare Clinic are registered with the Health and Care Professions Council and are members of the Society of Chiropodists and Podiatrists, where members must adhere to high clinical and professional standards to ensure your quality of care. Our podiatrists at the Edinburgh Footcare Clinic attend regular training courses to keep their knowledge updated and to highest standards for your treatment. Click on the names below for more information on our podiatrists. Anne graduated in 1986 and has over 25 years’ experience in podiatry. She has worked in the NHS in Edinburgh and also in London in Kings College hospital in the diabetic foot clinic. Anne also worked on board SS Canberra as ships podiatrist for 2 years. Since 1991 Anne has worked in private practice in Linlithgow and Edinburgh. 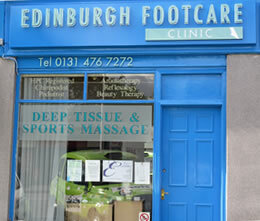 Anne set up both practices in 1991, but now works exclusively in the Edinburgh Footcare Clinic. Anne has taken a great interest in her professional body The Society of Chiropodists and Podiatrists. She was secretary of the local branch of this organisation for 18 years. The role involved running training courses at a local level and organising conferences. Anne received a long service award at the House of Lords for her work with the professional body in 2010. Anne has been on many training course since qualifying in 1986, completing a qualitification in homeopathic podiatry in 2001 and a qualification in podiatric acupuncture in 2003, a course on steroid injection in the foot as well as a course on taping and strapping of the lower limb. She has also a keen interest in biomechanics of the foot, podiatric dermatology, the diabetic foot and nail surgery. Anne is passionate about her profession and strives to give comprehensive foot care whether it is a simple nail cut or a more complicated gait analysis. Cathy graduated as a podiatrist in 1986 from Queen Margaret College. In 1995 Cathy undertook her BSc in podiatry also at Queen Margaret College. Cathy worked for 3 years in NHS Lothian and Sunderland, before moving to Brazil to work as a podiatrist and healthcare worker for a leprosy project in Amazonas for 2 ½ years. In 1997 Cathy returned to further education and graduated from Edinburgh University with an MSc in Health Promotion and Education. Cathy has a wide range of health experience and has worked as a self-employed podiatrist for a number of years; she has been an associate podiatrist with Natural Therapies since 2006. Lynn graduated from Queen Margaret College in 1988 and returned to Queen Margaret in 1993 to graduate with a BSC in Podiatry. Lynn worked for NHS Lothian from 1988-1999. During that time she worked in clinics city wide and also undertook domiciliary work. Lynn worked as a clinical supervisor to the podiatry students at the Edinburgh Foot Clinic from 1993-1994. Since 2000 Lynn has worked privately running her own successful domiciliary practice in the Corstorphine area. Lynn has worked as an associate podiatrist with Natural Therapies since 2000. Amanda qualified with first class degree in 2008 from Queen Margaret University. Amanda is originally from Northern Ireland but fell in love with the beautiful city of Edinburgh. She has got a fantastic range of experience and has worked for the NHS and also privately. Amanda has a keen interest in diabetes, rheumatology and biomechanics and has recently completed two courses in K taping for muscular skeletal problems. Amanda has been part of the team at Edinburgh Footcare Clinic since 2010. Vaji graduated with honours in podiatry in2012 and has recently joined Edinburgh Footcare Clinic. Vaji worked previously in nursing in the challenging environment of Accident and Emergency before changing career paths. She has been working in private practice since qualifying. Vaji has a keen interest in biomechanics and has recently completed a course in podiatric acupuncture and verrucae needling. Vaji is passionate about the podiatry profession and regularly attends courses and meetings run by the professional body. Click on the names below for more information on our specialists. Aromatherapy combines the use of essential oils and massage: to ease the body of its aches and pains while freeing the mind of congestion and over activity. The therapeutic properties of the oils along with massage techniques work synergistically to release the tension from muscles, leaving the body feeling looser, more mobile and less painful. The aroma of the blend of oils travels the limbic system in the brain creating a calm and peaceful mind. Body and mind now feeling relaxed but also energized and rejuvenated by aromatherapy. Essential oils are extracted from plants; they contain therapeutic properties which have various healing effects. Each essential oil is carefully selected to meet your specific needs; this is known as known as an ‘Individual Prescription.’ The oils are chosen once the consultation has taken place upon your first visit. The massage techniques vary from; light relaxing massage to gently heat the muscles, to deeper work helping to ease the knots and mobilise the muscles, to using deep tissue techniques to free the muscles, release any pain, allowing the body to relax. Aromatherapy improves the function and the health of your body and mind as it takes care of you with its holistic philosophy. Aromatherapy considers the body and mind as one whole interconnected being, and helps promote healing in a natural way. Reflexology is a healing art which arises from the study and practice of treating areas in the feet and hands that relate to corresponding parts of the body. It is a comprehensive therapy which promotes well-being and relaxation as well as relieving pain, tension and discomfort. Reflexology assists the body in finding its own natural path towards balance and recovery. Most people notice an immediate improvement in their general well-being and feel more relaxed or energised following just a few sessions. Reflexology is suitable for all ages and throughout every stage of life. This gentle therapy may bring relief from a wide range of both acute and chronic conditions. Reflexology is complementary to standard medical care and should not be used as an alternative to medical advice or treatment. At Edinburgh Footcare Clinic you can be confident that your reflexology practitioners are caring, well-trained and knowledgeable as well as being committed to the advancement of holistic practice. Mary Parker, Pat Kelly, Pip Edmonds and Lyn Stewart.